Voot application launched in March 2016 forms the digital arm of Viacom 18. It is advertising led video on demand platform that is only available as an app for Windows and Android users. 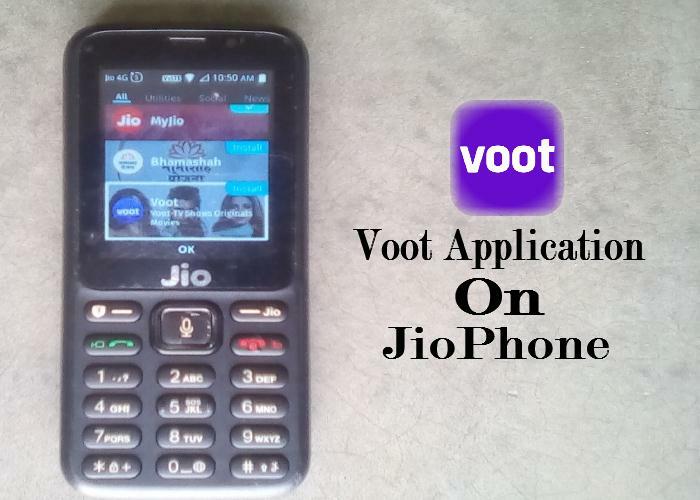 Reliance states that the JioPhone sold nearly half of the feature phone market share, making it the best-selling feature phone in the India market and JioPhone run on KaiOS operating system so; Voot App is not support on JioPhone. Now, Voot App has built a new version of its app for JioPhone to run on KaiOS operating system. So, it is available for download all version JioPhone via Jio app store. Voot is available only in India and hosts over 50,000 hours of video content that includes shows from channels like MTV, Nickelodeon and Colors. Content is also available in multiple languages like Kannada, Marathi, Bengali, Gujarati and Tamil. At first update your phone software. Then user get see Voot App download or install. Once the app is downloaded, then user can start TV Shows and Movies. After users need to shortcut ‘press 1’ for Home, ‘press 2’ for TV Shows and ‘press 3’ for Movies.